The Incorporate Village of Mineola is situated in Nassau County, on New York’s Long Island. The village is a part of the Town of North Hempstead; however, a small part of it does lie in the Town of Hempstead. 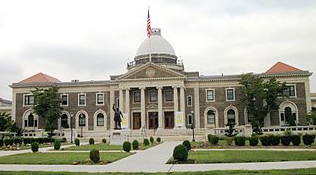 Mineola serves as the county seat of Nassau County. The village is also home to NYU Winthrop Hospital, the first voluntary hospital on Long Island. This medical center provides a wide range of services for people of all ages and was ranked one of the top 5 hospitals of the Acute-Care Hospitals in 2004. According to data from the 2010 census, nearly 18,000 people reside in the Incorporated Village of Mineola. The population is varied, as people of all ages call the village home. However, a large percentage of the residents of Mineola are of driving age. Due to the relatively close proximity to Manhattan and Winthrop Hospital, a large number of people commute to and from the village. While the Long Island Rail Road does serve as mode of public transportation, it is often unreliable and it is rather costly; as a result, most people who live in the village and commute prefer to rely on their own transportation. Likewise, those who do not work but are of driving age also rely on their own transportation. Due the high volume of traffic on Mineola roadways, both on major thoroughfares, like the Long Island Expressway, and on back streets, accidents are not uncommon. Though most of the accidents that are reported in Mineola are not serious, the do result in damages and minor injuries are not uncommon. Therefore, in order to properly protect themselves, motorists that live in Mineola do need to carry the right type of insurance coverage. Furthermore, auto insurance is a legal requirement in all areas of New York State, with the minimal coverage offering $25,000 for a single injury, $50,000 for multiple injuries, and $10,000 for property damages. The cost of auto insurance in Mineola does vary from person to person, and there are a number of factors that are taken into consideration when determining the cost; however, on average, motorists can expect to pay just above $2,000 a year for the car insurance coverage. Comparison shopping is highly recommended to find the most affordable rates. If you live in Mineola, contact one of the reputable agents below to find the cheapest auto insurance, or enter your zip code above.